In the fall of 2017, Shayla Polanchek, a recent recipient of a heart transplant at Mayo Clinic in Rochester, Minnesota, returned to campus to review the specimen of her old heart, the one that had been removed from her chest. She had asked to be reunited one last time with the organ that, though flawed, had kept her alive for 38 years. “Shayla and her family wanted to see the specimen, understand more about the disease, and say goodbye to her old heart,” says Joseph Maleszewski, M.D., Section Head of Cardiovascular Pathology in the Department of Laboratory Medicine and Pathology (DLMP). 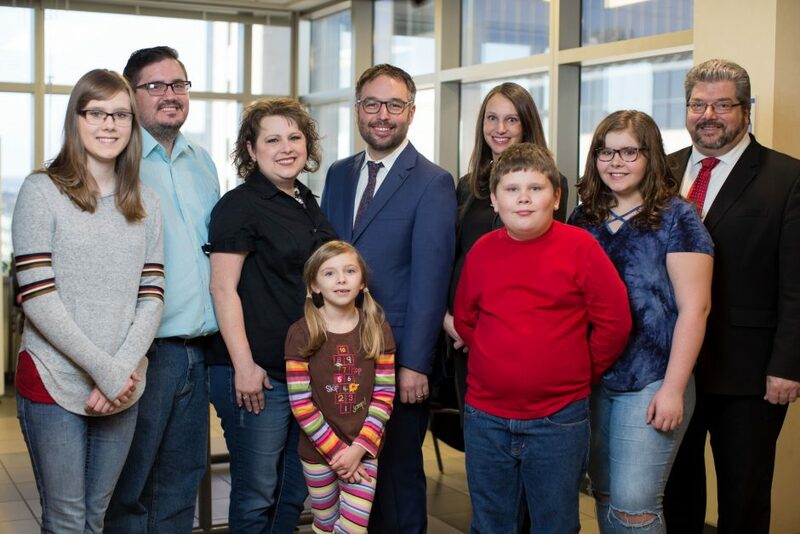 For the momentous occasion, Polanchek, her husband, and their four children met with Dr. Maleszewski at one of Mayo’s Anatomic Pathology Laboratories. 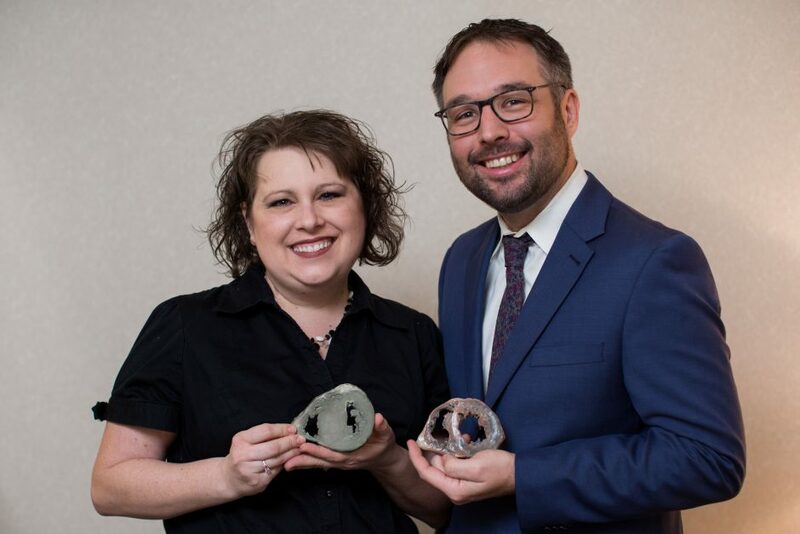 Shayla Polanchek and Joseph Maleszewski, M.D., with Polanchek's two 3-D printed hearts—one healthy and one damaged. Besides getting the chance to see her heart, Polanchek was able to take a piece of it back home with her. Well, not the real thing, but almost. 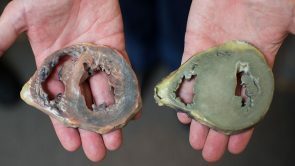 A model of a healthy heart (left) and Polanchek's diseased organ (right). 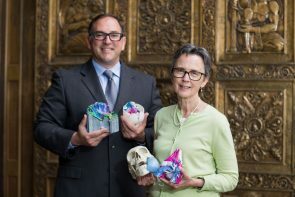 The meeting, and 3-D heart replicas presented to the Polancheks, were made possible thanks to Mayo’s 3-D Surface Scanning and Modeling Initiative, a collaboration between the 3-D Modeling Laboratory and DLMP. 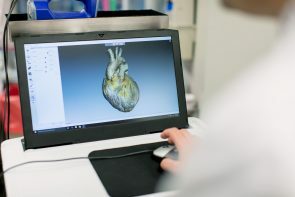 This nascent technology uses a special image scanner (called a Rotex Spider 3-D scanner) in concert with a photo-realistic full-color 3-D printer (the ProJet® CJP 660Pro) that can replicate models of not only the human heart, but virtually any organ, bone, or tissue specimen in the body. 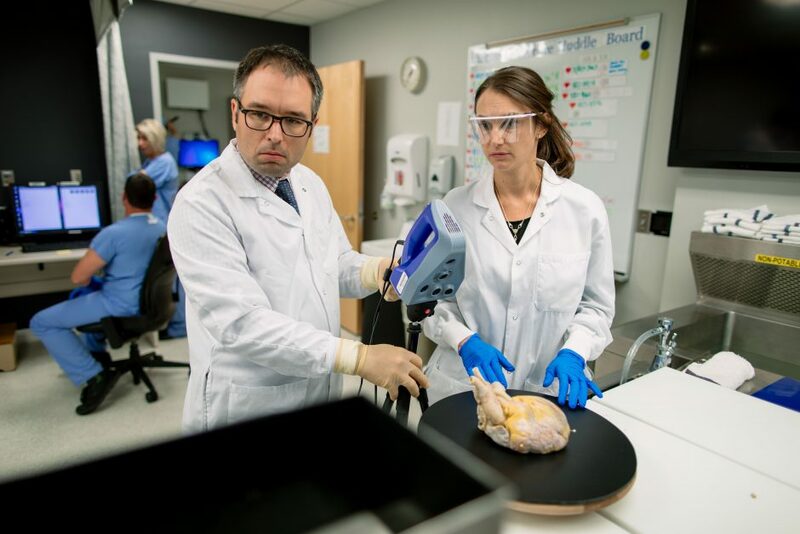 Joseph Maleszewski, M.D., and Melanie Bois, M.D., working in Mayo's 3-D Modeling Laboratory. Naturally, most transplant patients are curious to see the actual biological specimen of their old heart or other removed organ. But accommodating them is logistically challenging. Such organs must be dissected in a careful way that maintains key teaching points for patients. And they must be kept in formaldehyde, rendering them difficult to transport. Also, as with all human tissue, biohazards are an ever-present issue, carrying potential risk of disease or infection, which is why the pathologists are not exactly keen on having patients touch or handle them. 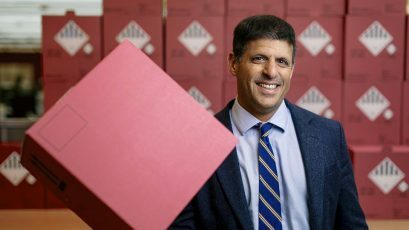 “Now, if we can scan their specimen and then print off a version that is true to size and color, then that is a very nice trade-off because it doesn’t involve biohazards and the cumbersome logistics of handling real human tissue,” says Dr. Maleszewski. Jonathan Morris, M.D., and Jane Matsumoto, M.D. 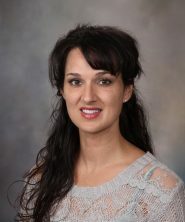 At the 3-D Modeling Laboratory, co-directed by Jonathan Morris, M.D., and Jane Matsumoto, M.D., modeling is mostly based on image-acquisition techniques, such as CT scanning or MRI exams. In DLMP, pathologists have been working on surface scanning to replicate hearts and other organs. A 3-D surface scanner is a device resembling a handheld iron with small cameras all over the bottom surface. The device is moved over the outside contours of a specimen or object, during which the scanner takes multiple pictures and creates a three-dimensional representation. A 3-D surface scanner and 3-D computer software. The scanned 3-D image can be manipulated on a computer screen or handheld device (e.g., a tablet or smart phone), and tilted and rotated at every conceivable angle via a mouse or a person’s fingertip. 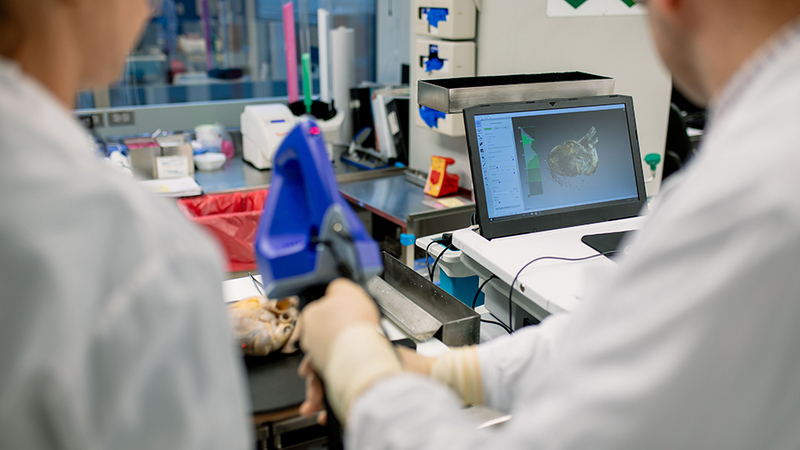 The image can also be sent to the printer, which will create a 3-D model of whatever organ or object has been scanned. The modeling material is a resin, akin to sand, with which the printer lays down a “scaffold” that hardens over time. The 3-D printer can use other materials as well, some being very rubbery and pliable, and others that are hard like ceramic or plastic polymer. And, for maximum realism, it’s able print in multiple colors. 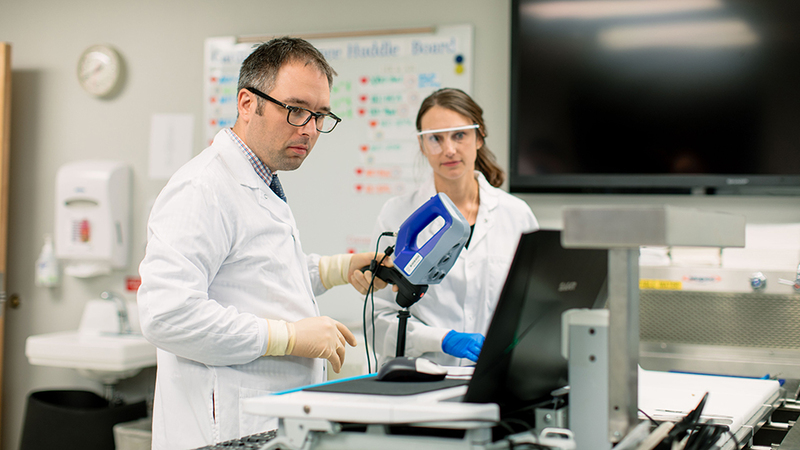 The 3-D Surface Scanning and Modeling Initiative is changing the paradigm by facilitating, for example, unprecedented relationships between patients and their pathologists. Besides the opportunity to experience the cool science of 3-D modeling, meeting with a pathologist is a rare chance for patients to learn more about their diseases. 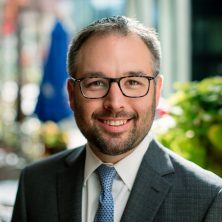 Patients take comfort in going “behind the scenes” of their care to meet diagnosticians, such as Dr. Maleszewski, who make sure their disease is accurately diagnosed and that it’s captured in a meaningful way. The entire process is coordinated by laboratory technicians, led by Andrew (Drew) Caron and Angela Regnier, who coordinate with the patients and engage them when they arrive to review their organs. After the initial specimen review meeting, patients can opt to have additional meetings with their pathologist going forward. 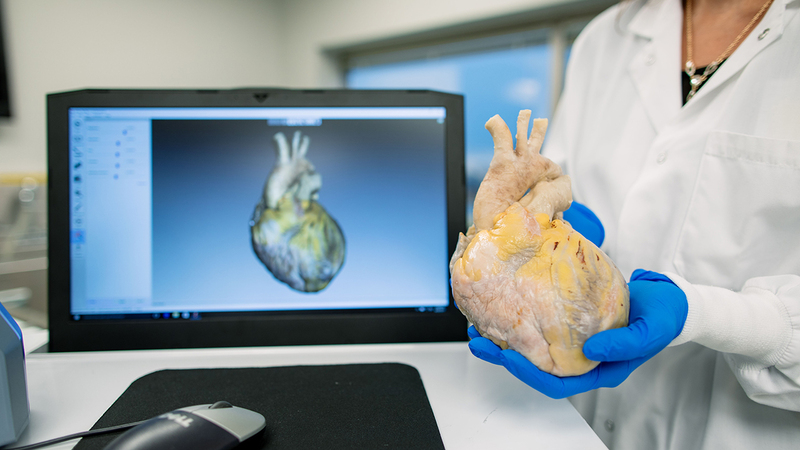 Because 3-D scanning and modeling is so new as a pathology tool, even Mayo Clinic, at the forefront of this technology, is still exploring its potential. Drs. Maleszewski and Bois working in the 3-D Modeling Laboratory. It’s already begun. 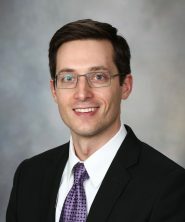 As of August 2018, these models are now being used as part of the Mayo Clinic School of Medicine’s curriculum and in the education of residents and fellows. When looking for opportunities outside the medical community, Mayo is also exploring forensic applications. By enhancing the reproducibility and transportability of rare organ and tissue specimens, this technology may also allow Mayo Clinic to share them far beyond its own campuses, as teaching tools. The initiative is helping to deepen the educational paradigm by transforming these rare specimens into user-friendly, shareable 3-D learning tools. 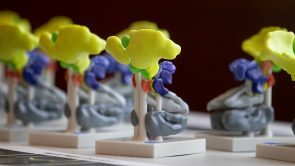 Conversely, by using 3-D technology, either a digital rendering or the actual printed model, Mayo can share and transport specimens freely for home or office learning, “and they can be used to show all relevant anatomic relationships in a much more real and enhanced presentation than 2-D photography,” says Dr. Bois. 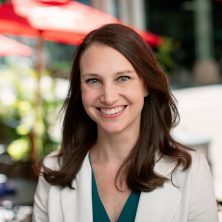 Amid all the possibilities, perhaps the most profound is how the initiative has opened the door for pathologists at DLMP to have open and meaningful dialogues with transplant patients. Further, in allowing these patients to see and touch their removed specimen (or an exact replica), there can be a kind of emotional or even spiritual healing, a process that’s different from patient to patient. The farmer’s wife from South Dakota, was ready to say goodbye to her heart and pay it forward, so to speak. During that first meeting with Dr. Maleszewski, he asked her what she wanted to do with her specimen. Shayla Polanchek and her family along with Drs. Joseph Maleszewski, M.D., Melanie Bois (center), and RN Care Coordinator Paul Olsen-Holtorf (right). 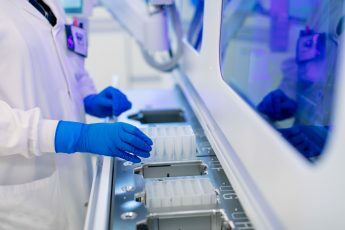 Christoph Bahn covers emerging research and discovery for Mayo Medical Laboratories. 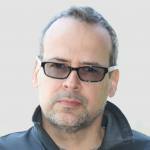 His writing has also appeared in The New York Times, Los Angeles Times, and Smithsonian Air & Space. He divides his time between Southern California and Northwest Ohio. What a brilliant, wonderful and impressive study is being developed, we know it will help other families to have their loved ones at home! We are immensely grateful to God first and then grateful to the heart giver and his family, to all the doctors, surgeons, pathologists, nurses, all Mayo staff, to give back our Shayla! We pray to God that He will continue to bless this wonderful family that we love so much, and now rewrite their history, bless the family of the giver, and bless this immense family that is the Mayo Clinic. We are overflowing with love and gratitude, we are Shayla’s Father and Stepmother ! Thank you so much for your kind words! We will certainly pass them along to the team. Excelente trabajo, felicitaciones a todo el equipo que hace lo posible. Imprecionante work, really congratulations to all as Mayo Clinic family.